Did you know that your Argan oil purchase not only has a positive effect on your wrinkles, dry skin, scars and hair problems but also on the lives of the people behind its production? it’s important to be aware of the truth behind argan oil production, as not all Argan oil is created equal. Recently, demand for Argan oil has surged worldwide and, as a result, there’s been a rise of low-quality Argan oil products produced by profit-motivated sellers. In addition, this has led to the exploitation of local communities in Morocco. However, the sustainable and fair trade production of Argan oil is crucial and is still possible. It is the pillar of a growing economy and the continuity of a premium sustainable production. Argan Oil Cooperatives: How good is good? 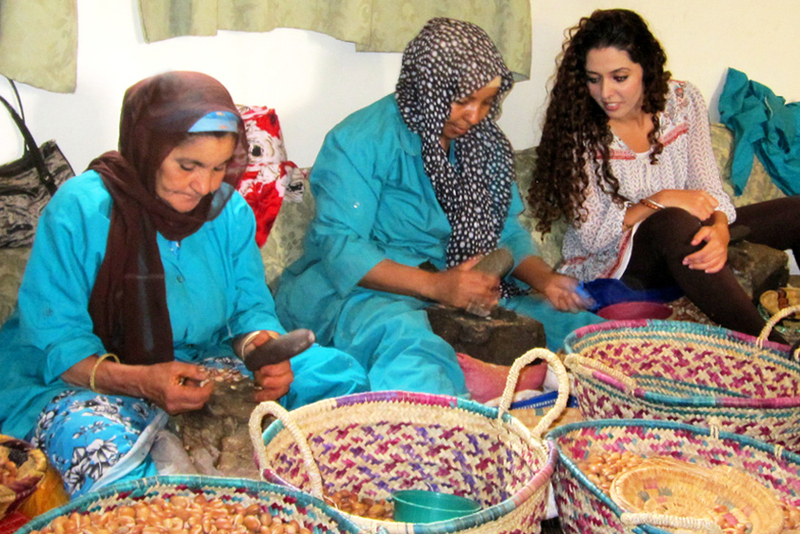 Argan oil production is labor intensive and requires specific skills that have traditionally been done by women living in rural communities in south west Morocco. However, many of these women often work under unfair trade practices. Many producers aren’t as cooperating as they claim to be, and rural women farmers are not paid fairly for their hard work. There are big orders coming for lower quality oil from companies desperate to guarantee their supply and cut costs. Since the local community lacks international business knowledge and education, there is plenty of exploitation. Do you know who produces your Argan oil? Have you ever pictured who produces your product? How are their lives different from yours? Are they compensated fairly? How is their work environment? The answers to these questions will help you make the best choice for you and the world you live in. At Ayelli we make the empowerment of the local farmers we hire one of our cores values. To ensure the highest quality of pure argan oil and the conservation of its properties, Ayelli uses the latest science and the invaluable ancestral skills from the rural women farmers. More on how to find the best Argan oil here. We provide these women with a steady income, good working environments, literacy classes, access to health care, and education for their children. We make sure they are recognized as their financial freedom and social autonomy is vital in this difficult socioeconomic region of Morocco. 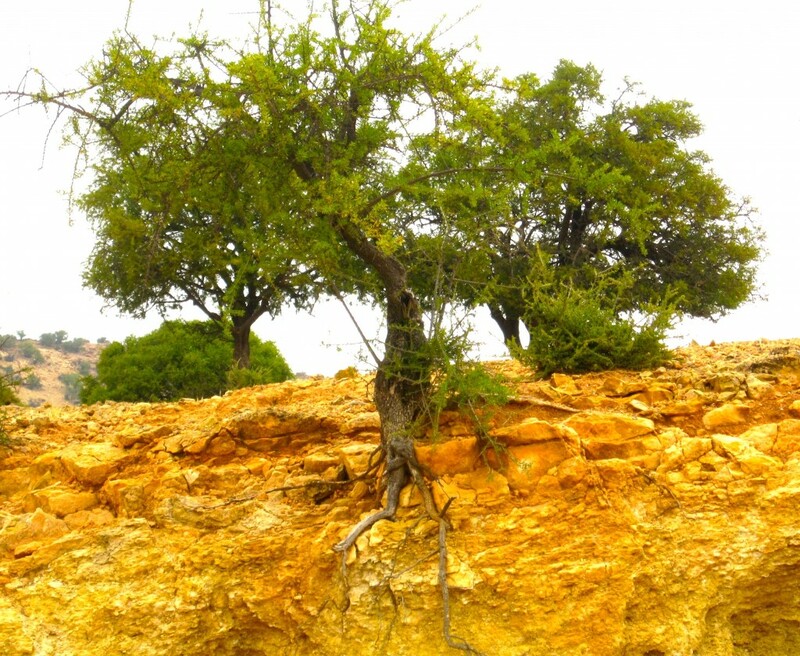 The Argan tree (Argania Spinoza) has many benefits for our environment, including combating desertification and soil erosion, as well as helping with water supply problems. Sadly, these environmental benefits are often not a priority for many producers. The truth is, the Argan tree is endangered because of excessive grazing, wood cutting, goats on trees, and other unsustainable practices that cause permanent damage. This makes the oil even more rare and precious. In contrast, Ayelli’s sustainable practices of organic Argan oil production ensure the social, economic, and environmental well-being of these women farmers. In fact, environmental responsibility is an extremely crucial part in the production of our oil. We teach our farmers to respect nature and to protect the endangered argan tree through responsible harvesting and honouring their heritage. On your next shopping trip, look for certified organic labels, know your vendors, and support independent businesses! Being a conscious consumer is about getting the best for your health and your family while supporting the people behind your product and the environment. More on how to find the best Argan oil here. It’s a win-win! We call that beauty with a heart. What are your favorite eco-friendly, socially conscious initiatives? We are working on extending our women empowerment initiatives to give back to more local communities. Comment below and share this article as a subscriber and you will receive our ultra-hydrating Argan cleansing bar worth $19 for FREE* Sharing is caring! Let’s chat!